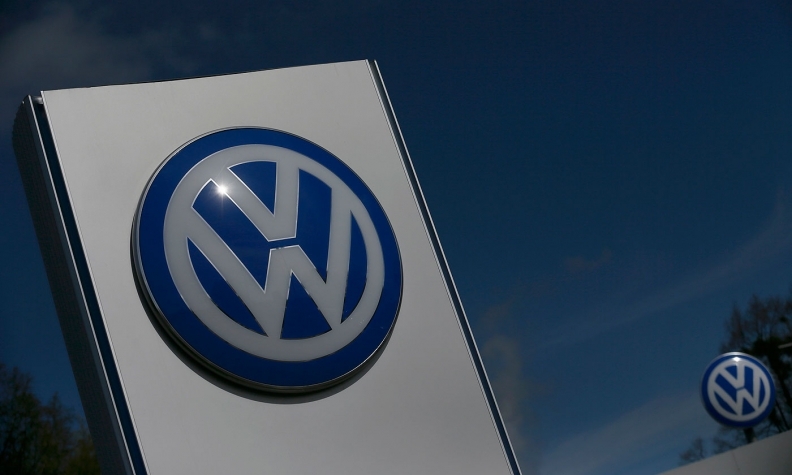 BERLIN -- Germany's financial watchdog said it was investigating whether Volkswagen illegally disclosed information about its emissions violations to third parties, adding to the carmaker's legal headaches more than two years after the scandal broke. VW is already the subject of a probe by the BaFin watchdog over suspected insider trading related to the emissions violations, and an investigation by Brunswick prosecutors over suspected market manipulation. Earlier this week, a German court also ruled an independent auditor should be appointed to investigate Volkswagen's cheating of U.S. diesel engine tests, boosting investors' hopes for compensation. On Friday, German magazine Der Spiegel reported that Volkswagen's CEO at the time, Martin Winterkorn, informed then-Transport Minister Alexander Dobrindt and the head of Germany's KBA motor vehicle watchdog on Sept. 21, 2015, about the extent of the carmaker's violations. "We are looking at this process with a view to a potentially unauthorized disclosure of inside information," a spokesman for BaFin said, confirming the Der Spiegel report. VW declined to comment on the latest BaFin investigation, but reiterated its view that its management board "duly fulfilled" its obligations regarding capital market disclosure rules. The Transport Ministry couldn't be reached for comment.